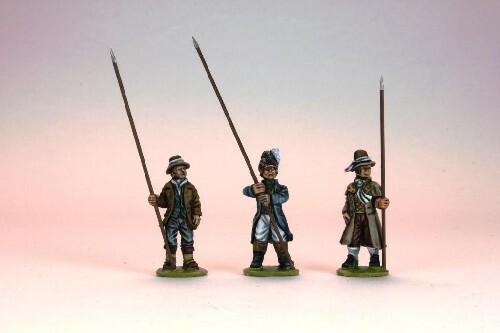 T-IR98/14 - More United Irishmen pikemen, standing. United Irishmen pikemen, standing. The figures hands need drilling out to fit the wire pike into them. The actual pikes used were between 8' and 14'.